To celebrate the new Canadiens season, Guy teamed up with legendary Habs organist Diane Bibeau and Toronto punk band F*cked Up for a music video for Red Bull Music Academy. As a referee. Go figure! Interviewed by the Montreal Gazette, Guy recently had some kind words about Kirk Muller, who has just been re-hired by the Montreal Canadiens as an assistant coach. Muller was originally hired as an assistant coach by Carbo when he took over as head coach of the Habs in 2006. This video was shot at a Pro-Am tournament in Brossard, QC to support Alzheimer's research. Classic Auctions is doing another auction and this time, Guy's red Canadiens jersey from the 1993 Stanley Cup Finals is up for bids. This jersey was worn during games 3 and 4 of the series in Los Angeles. Typical of Guy's game-worn jerseys, there is wear on the sleeves. The current bid on the jersey is $1,302. The auction ends on June 14 at 9:00 PM EDT. To view and bid on the jersey, click here. 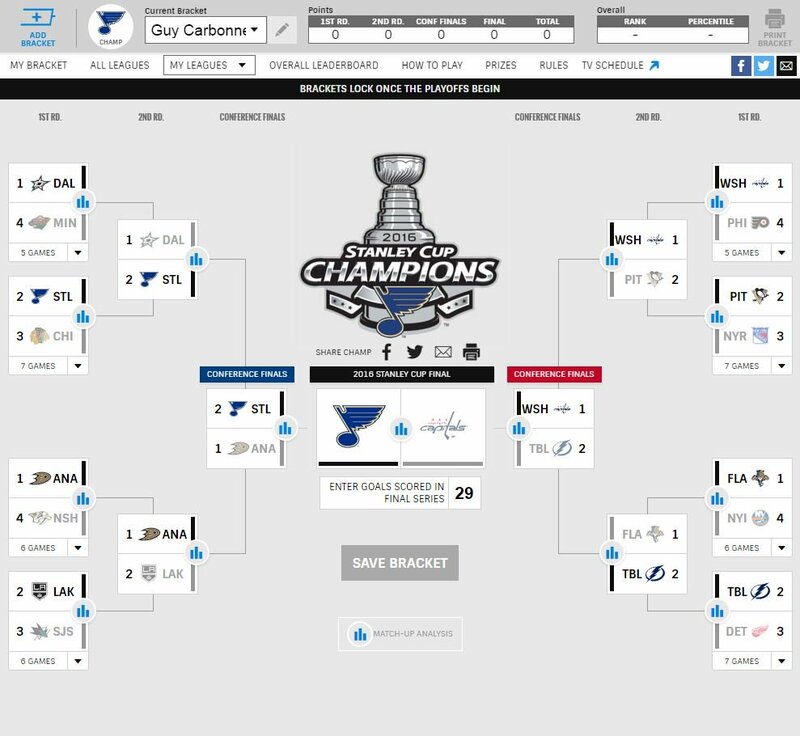 Exciting news for all Carbo fans: Guy has joined Twitter (more on that in a second) but first, he has posted his predictions for the 2016 NHL playoffs. 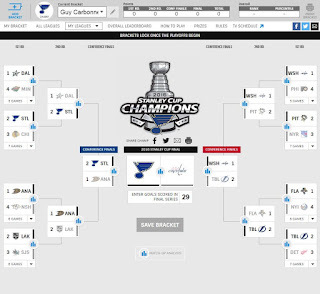 As you can see, Guy is predicting that the St. Louis Blues will emerge victorious as the 2016 Stanley Cup Champions. Will he be right? Only time will tell. As for Twitter, you can follow him here. Guy's son-in-law Brenden Morrow announced his retirement from hockey on March 17 after a 15-year career, signing a ceremonial one-day contract with the Dallas Stars so he could retire as a member of the team that drafted him in 1997. Guy was in Dallas for the announcement, as was Brenden's wife Anne-Marie and the three Morrow children. Congrats to Brenden on a great career! Read more about his retirement here. Guy also joined Mike Tyler of TSN 1150 to talk about the playoffs and Subway Canada and Pepsi's new "Hoist the Cup" promotion, in which Guy is taking part by appearing in an online video series (link to "Hoist the Cup" press release). You can listen to the interview here. I haven't been able to find the "Hoist the Cup" online video series yet but I will link it here as soon as I do. As well, Guy was also interviewed last week on TSN Radio recently for the Leafs Lunch program. You can listen to that interview here. I decided to enter the 21st Century and create a Facebook page for the blog. The purpose of this page is twofold; new posts to the blog will be linked there, and any other Carbo content that I find around Facebook will also be linked there as well. Feel free to check it out and give us a like if you're so inclined. You can find the page here! Going way back to October! 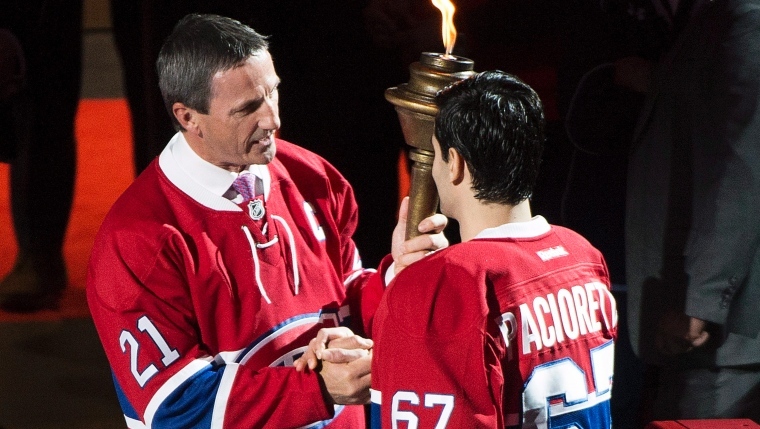 Former Habs captain Guy passed the iconic torch to current captain Max Pacioretty during the Canadiens' home opener. 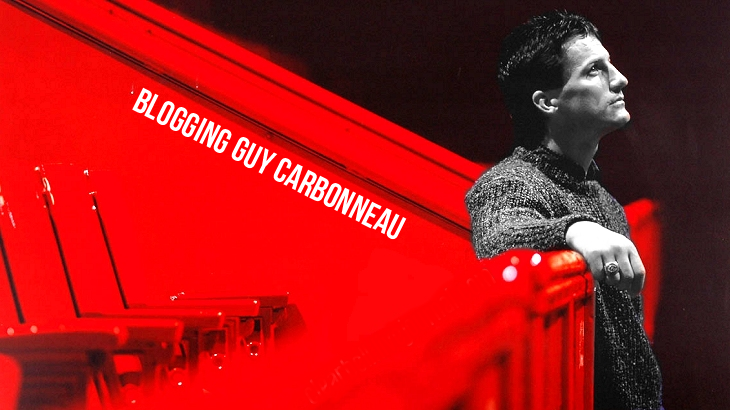 Carbonneau said that fighting is already “weeding itself out” of the NHL and thinks it’s time to put in rules similar to in European hockey, where a player who gets in a fight is automatically thrown out of the game. A suspension would come after a certain numbers of fights — say five or 10. “I think you’ll see less and less fighting in the NHL (in the future),” Carbonneau said. “I don’t think we’ll see the kind of athletes who were just sitting on the bench and were just there to fight. We don’t see that anymore. The game is too fast, teams can’t afford to have a guy like that on the bench, playing only two or three minutes of hockey. Carbonneau — like just about every hockey player — has great respect for the guys like Ewen, who stood up for their teammates. 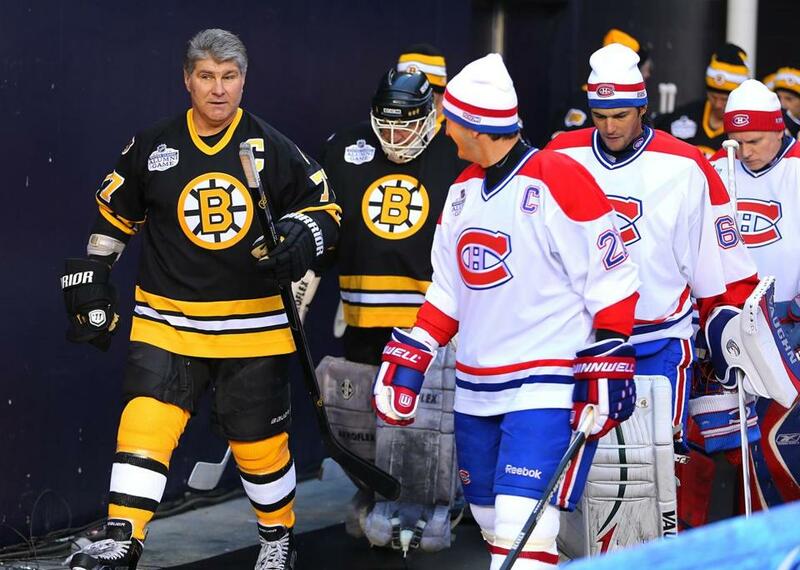 On December 31, Guy played as part of the Canadiens alumni roster at the 2016 Winter Classic Alumni Game in Foxboro, MA. The Bruins alumni took the game 5-4 in a shootout (and it must have been something for the retired players to play in the relatively new shootout! 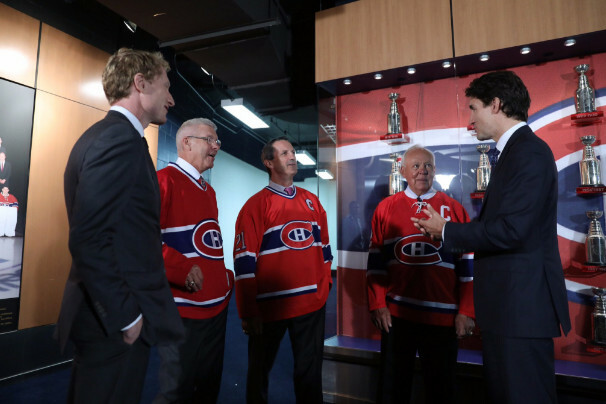 ), but Guy led his team onto the ice in his classic captain's sweater. 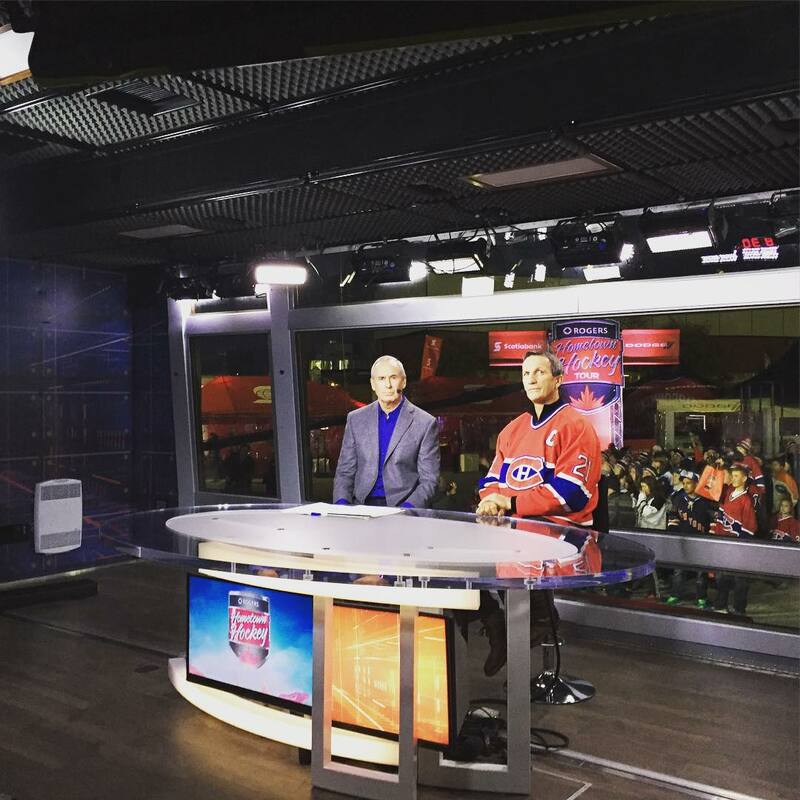 Back in October, Rogers Hometown Hockey brought their show to Gatineau, QC and Guy was part of the festivities, chatting with fans and signing autographs. Here he is being interviewed by Ron MacLean. 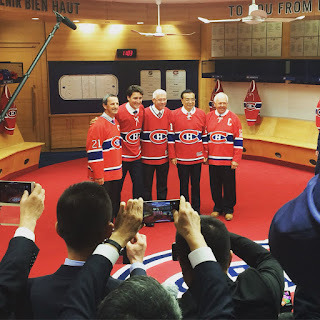 Switching back to current news, Guy has given an interview to the Montreal Gazette about the Canadiens' current slump. Excerpted from the French, Guy says that he expected a slowdown in the absence of Carey Price, but never to this point, and that he has never witnessed such a collapse. He believes that it will be very difficult for the Habs to clinch a playoff spot, and by the time the injured Carey Price returns to the roster, it will be too late. The full article is here. Finally, switching gears: Classic Auctions' Winter 2016 auction is now online, with a fantastic pair of Guy's skates -- the ones he wore when he hoisted the Stanley Cup with Montreal on June 9, 1993. These skates have tons of wear and have been photomatched. The current bid is $220, and you can view them (and bid) here.